PJ Contracting Limited is a trusted local paving company operating throughout Exeter and the surrounding areas. We specialise in all forms of driveways in Exeter, and supply exceptional surfacing solutions for both commercial and domestic customers. ARE YOU LOOKING FOR A HIGHLY QUALIFIED TEAM OF LANDSCAPERS FOR HELP ON YOUR NEXT PROJECT? PJ Contracting Limited was registered in 2016, by Joe Egalton and Jay Tomlinson, we pride ourselves on having excellent customer service, we offer the complete package from design to completion, or can work to your specs. All work is carried out to the highest standards, attention to detail is very important to us. Between us we have over 30 years experience in Groundworks and Landscaping. ALL ASPECTS OF GROUNDWORKS AND LANDSCAPING UNDERTAKEN THROUGHOUT THE SOUTH WEST. 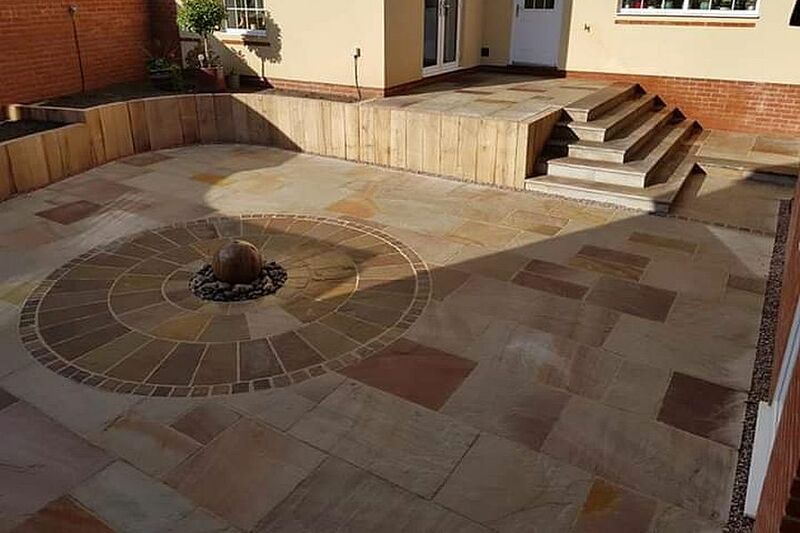 PJ CONTRACTING LIMITED HAVE BEEN PROVIDING THE PEOPLE OF MID DEVON WITH A WIDE RANGE OF CUSTOMER FOCUSED LANDSCAPING AND GROUNDWORKS SERVICES FOR MANY YEARS! So if you’re looking for a landscaping and groundworks company in Mid Devon with many years experience in the landscaping and groundworks trade then look no further than PJ Contracting Limited. Whether it’s a query or a quote, pick up the phone and call 07887424143 today or visit our contact page or send us an email. 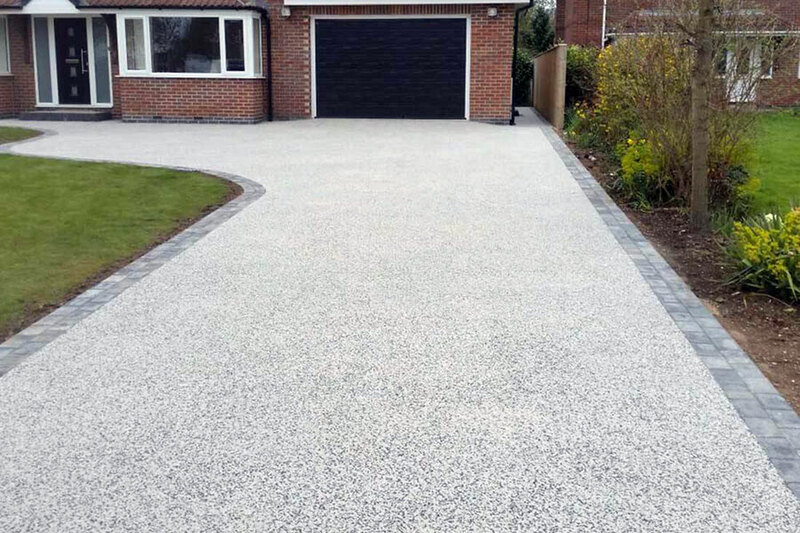 With very little maintenance required from a surfacing option which is both durable and environmentally friendly, resin driveways in Exeter represent a cost effective alternative to other materials such as concrete and tarmac. 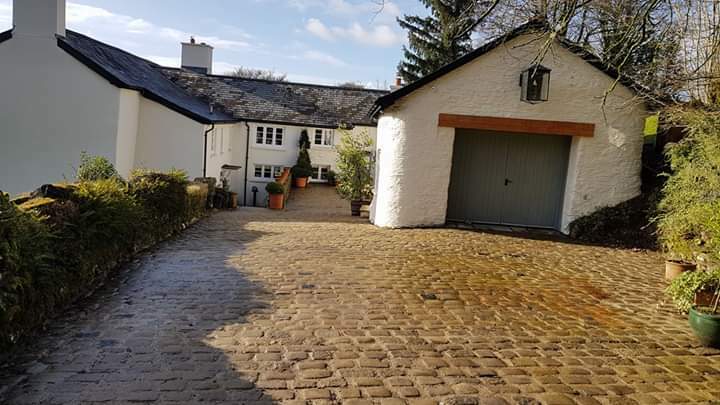 Resin Bound and Bonded Surfacing systems can be applied to the majority of driveway surfaces and can be installed fairly quickly, minimising any disruption to your Exeter home. Imprinted Concrete driveways are a sure fire way to make sure that your car stands on solid ground and that you can protect the lawn around your property. Known to last for many years, concrete is an inexpensive way to resurface your drive or patio area. When correctly maintained, professionally installed concrete driveways in Exeter will last upwards of 10 years and can also increase the value of your property. Often used for high traffic areas like roads and car parks, tarmac driveways in Exeter offer proven durability and the availability of different colours. When installed by professionals they are easy to install and quick to lay. Tarmac is also very low maintenance, economical and practical for today’s modern homeowner. New tarmac is specifically made to endure the surface aggravation of power steering. Block paved driveways continue to be one of the most popular choices for homeowners installing a new driveway. The stones themselves are ideal for winter use as they have plenty of grip. They don’t get slippery when wet and you’ll not need to worry about vehicle weight breaking the stones. Some people think paving slabs are a good option for a driveway, but this isn’t recommended. Flags can and do crack much easier than block paving and flagging doesn’t stand up to weight very well. Block paved driveways don’t present such issues and can effortlessly withstand pressure from even the heaviest of vehicles. Block paving in Exeter can be laid in a multitude of different colours and designs – the sky is the limit when it comes to the design. 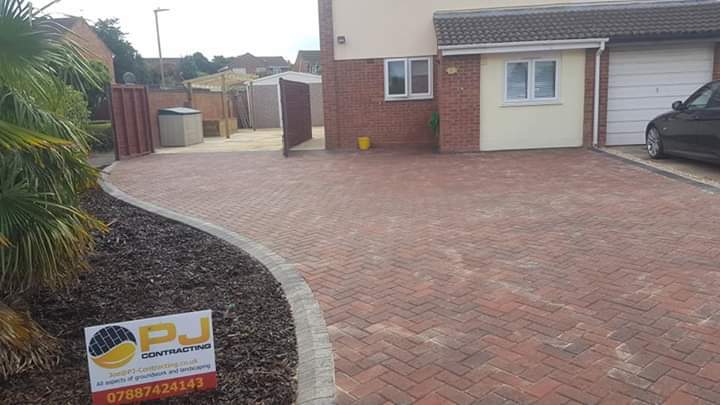 Quotations for tarmac driveways in Exeter and the surrounding areas are offered free of charge and without obligation, so please contact the trusted team at PJ Contracting Limited today for more information. Read more about us, and feel free to browse our paving services.